Trust the adage about women’s intuition — it may save a life. LATELY, there are new studies bombarding us giving different and often contradictory recommendations for breast cancer screening and also treatment. Perhaps my story can help even one person. In the summer of 2007, I discovered a tiny pebble-shaped lump. I was positive it was nothing, but decided to get it checked out. Eight years prior, I had a “small benign mass” removed. After my examination, my gynecologist sent me back to my surgeon. He ordered an additional mammogram, which didn’t show anything, and an ultrasound. The radiologist told me, oh so nonchalantly, that “it could be cancer.” A needle biopsy confirmed his conjecture. A lumpectomy removed the small malignant tumor and my husband and I met with a radiologist and an oncologist to determine the best treatment. During one appointment, the oncology nurse who felt I had one or two small risk factors ordered an MRI. The findings of the MRI revealed “two highly suspicious regions.” These regions turned out to be more than suspicious — deadly. Two additional tumors were found. We met with several doctors and received second opinions and then I went for the full-meal deal. I had a bilateral mastectomy, six months of chemotherapy, hormone therapy and reconstruction surgeries. I don’t believe that cancer is a wait-and-see disease. I hate to think of where I’d be if I didn’t act on my hunch, or if my angel oncology nurse hadn’t ordered an MRI. I believe we need guidelines. But more importantly, we need to encourage women to be proactive about their health and educate their medical-care team about their unique backgrounds. Most of all, the adage about “women’s intuition” may very well save lives. Trust it. 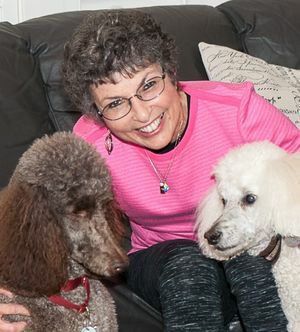 Ellen Reichman is a retired teacher and school counselor, freelance poet and writer who has lived in the Greater Seattle area for more than 20 years.